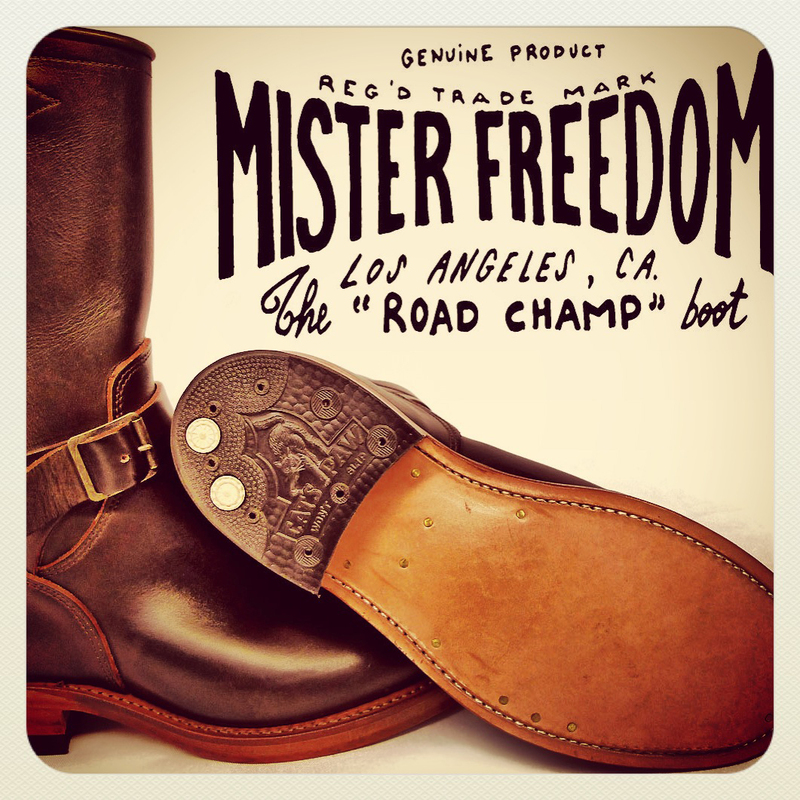 Here they finally are… The long awaited for all original Mister Freedom® “ROAD CHAMP” Motor-Cycle Boots. They are the result of over 2 1/2 years of painstaking research and development, from hide selection and dyeing, last carving…to the final sole tacks and polishing. An all original MF® pattern inspired by 1930′s to 1950′s American engineer and work boots.